When you find out that a friend or relative has been arrested and locked up it is understandable to want to try and get them released as quickly as possible. In order to minimize their time behind bars as they await their court dates you can use a bail bond to get them released. However, don't just run into the first bail agency you find, as you will want to make sure you find one that is properly qualified to get the job done right. Here are four characteristics of a truly excellent bail bond agency. Many arrests don't happen during the normal nine to five grind. When you need assistance posting bail you need it right away. Be sure that the bail bond agency you are considering using is going to be able to help you every hour of the day, including on holidays. If they are not willing to fight for freedom day and night they shouldn't your first choice for bail services. Another important factor when it comes to choosing a bail agency is the amount of time they have been in business. The longer that they have been in business the better, as this means that they have been offering affordable and honest services to their community for years and years. Be sure they have at least a couple decades with their doors open! You will want to find out what sort of fees the agency charges for their services. 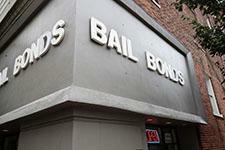 General fees for posting bail with a bail bond should be around 10 to 15 percent of the total bail amount. If they charge more than this be sure to look elsewhere for service. Most people don't budget for having to post bail so when the need to do it arises it is important that it is affordable. Use a bail agent that offers multiple payment options, including cash, check and card. They should also offer options for extended payment plans, ensuring your transaction is affordable for you. If you need to post bail in California, particularly in San Rafael or the surrounding communities, reach out to 5 Star Bail Bonds. For more than 50 years we have been helping people get their loved ones released from jail by offering fast and affordable bail bond services. To learn more about our business or to request a bail bond in San Rafael call 5 Star at (415) 479-4800 day or night.